West Wind II is a Comanche 42 designed by Sparkman and Stephens and built in late 1969/70 by Chris-Craft. Watch the video. We purchased her in Mystic, Connecticut in late 2010. 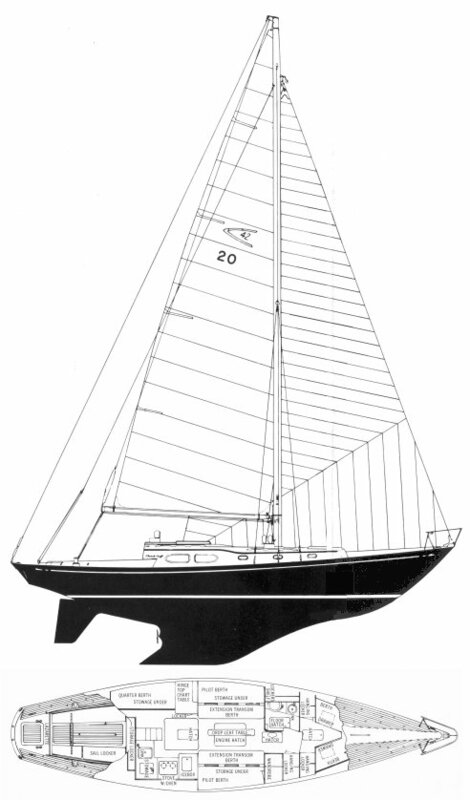 I chose the Comanche 42 for a few reasons. First and foremost she is a beautiful boat. She has the classic lines that are typical of the 1960s off-the-board Sparkman and Stephens design like Defender and the legendary Swan 43. They all have the same profile below the water – fin keel with a tail and skeg hung rudder. West Wind II is the kind of boat that makes my heart beat a little faster. 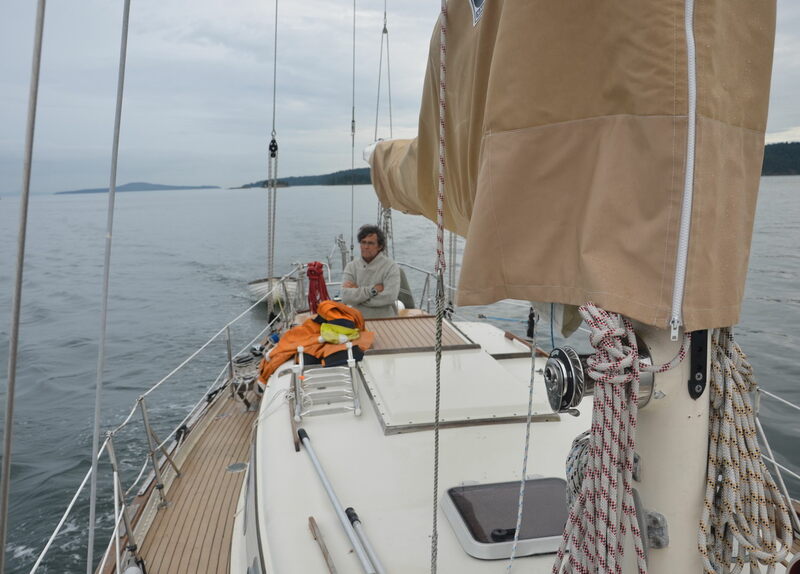 A boat of the 60s generation is what I could afford, knowing I would have to modify it to sail across the southern ocean. These old cruisers have great bones but all of their systems need to be updated. This offered me the perfect opportunity to get to know every inch of the boat before I set off on my voyage. West Wind II Trincomali Channel, Gulf Islands, BC. August, 2011 before the refit. Ballast: 8630 lbs. 3915 kgs. 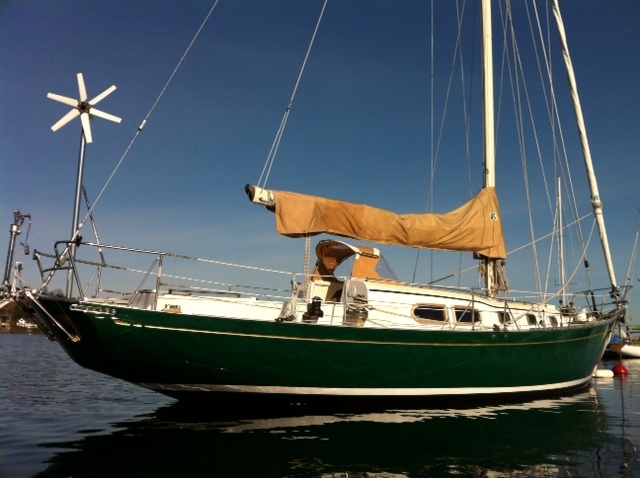 Mast stepped, fully rigged and sails bent, West Wind II sits comfortably on her mooring in Cadboro Bay. Ray Wallace here (W5AQZ). I heard you tonight on 20 the meter band. I am a 68 year old nearly retired sailor (raced Santana 20s inland in Denver, CO). With a bit of envy, I wish you the very best on your voyage. Thanks Ray. Glad you’re on board.